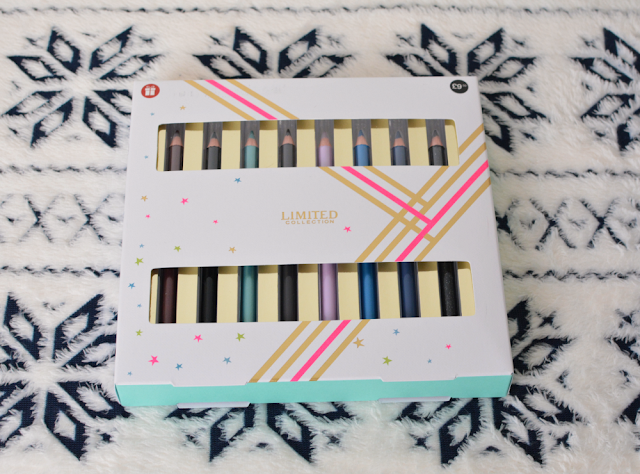 With 8 full size eyeliners, in a range of colours from everyday neutrals to bold blues and greens as well as a gorgeous lilac, this would be perfect for a night out or for anyone who likes to experiment with make up. For your chance to win, simply leave a comment below telling me your favourite Christmas present this year. Don't forget to be a Bloglovin and GFC follower of Peonies and lilies and also to leave a contact email address or Twitter handle via the Rafflecopter app so I can get in touch if you are the lucky winner. This giveaway will be open internationally until 7th January 2016. I love my new YSL palette! My favourite Christmas present was some super soft and fluffy pyjamas. My Fiance gave me a Nutribullet so I can enjoy being healthy all year round! My favourite Christmas present was a beautiful Champney's Bear! My favourite gift this year are some wifi kitchen scales I really wanted! I got a trip to the spa! a top with a roald dahl quote on it. i love it! My fave present was the slippers that my son picked out and bought for me.